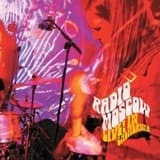 This is Radio Moscows previously unreleased debut album. Recorded entirely by Parker Griggs (he plays all the instruments) when he was only 17-18, this is garage music reminiscent of the Nuggets and Pebbles compilations, with a dash of Killed By Death dropped into the mix; its where it all started for the six string boy wonder. 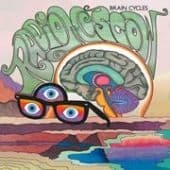 Brain Cycles" is Radio Moscow's second album, a new psychedelic trip into the musical territory originally charted by artists such as Randy Holden, Groundhogs, Peter Green and Flower Travellin' Band, just to name a few. After a full year on the road, Parker Griggs has headed back into the studio to cut the long awaited follow-up. On "Brain Cycles," he once again plays all the instruments (guitar, drums, and percussion) and assumes vocal duties as well as production credits, while the bass guitar is in the hands of young Zach Anderson. Conceived as an homage to the thrilling days of yesteryear, when vinyl was king and analog stereo ruled the world, "Brain Cycles" is a guilty pleasure best experienced at maximum volume while wearing headphones, if you want your brain to catch the waves! Radio Moscow captured live in Los Angeles, featuring 76 minutes of high-energy rock n'roll. Recorded absolutely live, without overdubs. Magical Dirt is RADIO MOSCOWs fourth studio album. The bands fountainhead Parker Griggs, along with partners-in-crime Anthony Meier (bass) and Paul Marrone (drums), have cultivated yet another blues-rock masterpiece that crossbreeds late 60s psych-rock and face-melting guitar histrionics with the foundation-crumbling rhythms from early 70s hard-rock, and even includes a couple of harrowing tracks built from the bedrock of rural Delta blues. But more than merely digging up fossils from rocks revered past, Griggs & Co. manage to translate the myths of rock-n-rolls golden age into modern day truths for a new, younger generation. 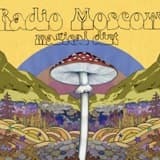 RADIO MOSCOW is a psychedelic blues rock trio from Ames, IA, led by guitarist/drummer/singer/songwriter Parker Griggs, and this, their self-titled debut album, is produced and engineered by BLACK KEYS guitarist/singer Dan Auerbach. 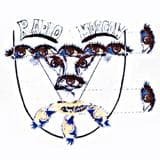 RADIO MOSCOWs debut is a guitar album reminiscent of the pre-punk era, and it will certainly delight fans of the BLACK KEYS and COMETS ON FIRE alike. 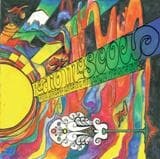 The trio, now with the addition of female drummer Mayuko (GORE GORE GIRLS, CYRIL LORDS) will be touring all 2007.
exclusive single for VOLCOM singles club, by RADIO MOSCOW, a psychedelic blues rock trio from Ames, IA, led by guitarist/drummer/singer/songwriter Parker Griggs.